Cebu City was declared as an Association of Southeast Asian Nations (ASEAN) City of Culture in lavish ceremonies held on July 15 at various areas around the city of Cebu. Executive Director Olivia Palala of DFA Office of ASEAN Affairs supported claims why Cebu City was named as an ASEAN City of Culture. “From the historic Magellan’s cross planted in the heart of the city, to the city’s magnificent hotels, pristine beaches and diving spots, colorful religious and tourist festivals and vibrant industries—you name it, Cebu has it,” she said. Since 2010 till 2011, the Philippines was declared as the ASEAN Culture Capital. 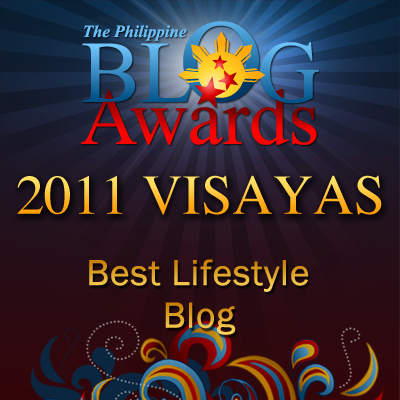 And Cebu City was an ASEAN City of Culture. The best cultural heritage of the country was featured to substantiate its title. A selection of several cities around the country is made to come up with the prestigious title ASEAN City of Culture. The cities to be selected should provide concrete evidences of "the uniqueness and richness of Philippine culture, as reflected in their glorious history and the creative craftsmanship of its people." And among those cities in the country, Cebu City bested the rest. Thus, it earned the title of ASEAN City of Culture. Therefore Cebu is the 10th Philippine city to be given the title ASEAN City of Culture. The 9 cities which earlier received that title were Manila, Angono in Rizal, Tarlac City, Angeles in Pampanga, Batangas City, Roxas in Capiz, Tagbilaran in Bohol, Cagayan de Oro in Misamis Oriental, and Dapitan in Zamboanga. By January 2012, especially in the Sinulog Festival, the city will turn over the title of ASEAN Culture Capital to Singapore, the next ASEAN Member-State to be given the title. Cebu City is located on the central eastern part of Cebu Province, an island at the center of the Visayas in Southern Philippines. The City of Cebu (Cebuano: Dakbayan sa Sugbo) is the capital city of Cebu and the second city in the Philippines, the second most significant metropolitan centre in the Philippines and known as the oldest settlement established by the Spaniards in the country. Cebu City is a significant cultural centre in the Philippines. The city's most famous landmark is Magellan's Cross. This cross, now housed in a chapel, is reputed to have been planted by Ferdinand Magellan when he arrived in the Philippines in 1521. It was encased in hollow tindalo wood in 1835 upon the order of the Augustinian Bishop Santos Gómez Marañon to prevent devotees from taking it home chip by chip. The same bishop restored the present template or kiosk, located at the present Magallanes street between the City Hall and Colegio del Santo Niño. Revered by Filipinos, the Magellan's Cross is a symbol of Christianity in the Philippines. A few steps away from the Magellan's Cross is the Basilica Minore del Santo Niño (Church of the Holy Child). This is an Augustinian church elevated to the rank of Basilica in 1965 during the 400th year celebrations of Christianity in the Philippines, held in Cebu. The church, which was the first to be established in the islands, is built of hewn stone and features the country's oldest relic, the figure of the Santo Niño de Cebu (Holy Child of Cebu). This religious event is celebrated during the island's cultural festivities known as the Sinulog festival. Held every third Sunday of January, it celebrates the festival of the Santo Niño, who was formerly considered to be the patron saint of Cebu. (This patronage was later changed to that of Our Lady of Guadalupe after it was realised that the St. Nino could not be a patron saint because he was an image of the Christ and not a saint.) 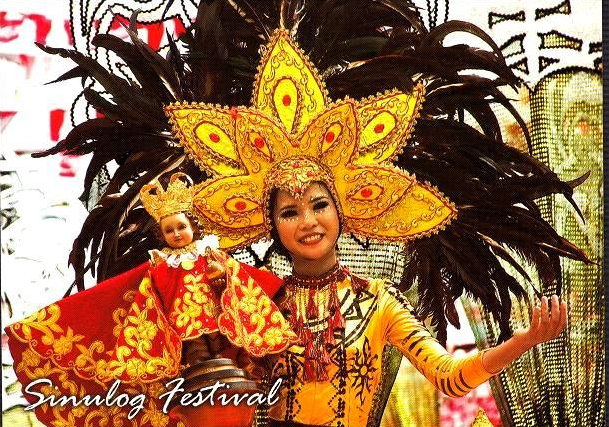 The Sinulog is a dance ritual of pre-Hispanic indigenous origin. The dancer moves two steps forward and one step backward to the rhythmic sound of drums. This movement resembles somewhat the current (sulog) of the river. Thus, the Cebuanos called it Sinulog.